Hello everybody! My name is Adrian Castro and I am a ESRM major studying abroad in South Korea at Yonsei University for a whole year completing classes for my major and minors in Biology and Chemistry. School officially starts for me next week on Monday (September 3rd). I have been here for one week already and it has been so much fun experiencing Korea and meeting new people. Last Monday was our orientation and it was a lot of information to take in! I’ve made some new friends along the way from a wide array of places, such as Mark from North Carolina, Amy from Taiwan, and Maria and Nicole from Germany. These are the nicest and most wonderful people I’ve ever met and I cannot wait to spend the whole year with them! There is always something to do here in Seoul and it is amazing. 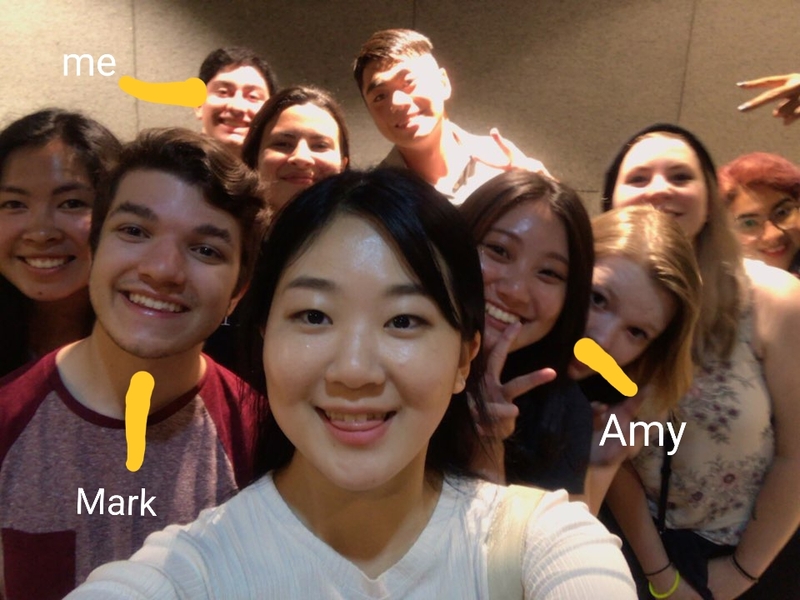 After orientation, my new friends and I went out to eat some Korean barbecue, then soon after we all went to a bar to have some fun. After the bar, we decided to continue our night with some karaoke. We didn’t come back until midnight or so and the city was still alive and bright with so many people still walking around the city and using the subway. Other days I spend my time walking around Sinchon and sightseeing and also exploring my new campus. I have had so much fun and I cannot wait to continue it with my new friends and share it with everybody here!